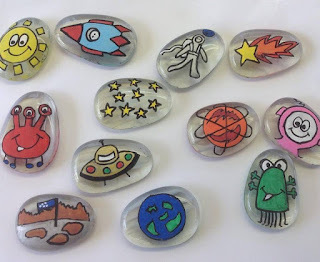 I did pull out my Old Time Kaleidoscope and worked on it for a few hours but didn't take a photo..
Oh, I love these story stones, so cute! Interesting little stones. Cute graphics. Hi Deb, your story stones look wonderful. Adorable! 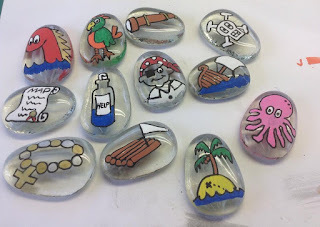 Painting stones? I can barely paint my nails! Hahaha! These are such cute wee stones - I can see all sorts of imaginative stories being sparked by these. These really are lovely Deb.